We’re happy to greet all of you with open arms. Our interest for communicating and spreading new discoveries in manual and movement therapies brings us together again for our IV Congress, BODYWISDOM SPAIN 2016. Walking may be the most characteristic movement we humans make. The way each of us walks reveals our unique integration of neuromuscular patterns; the quality of our gait reflects the qualities of our entire body, and our entire being. 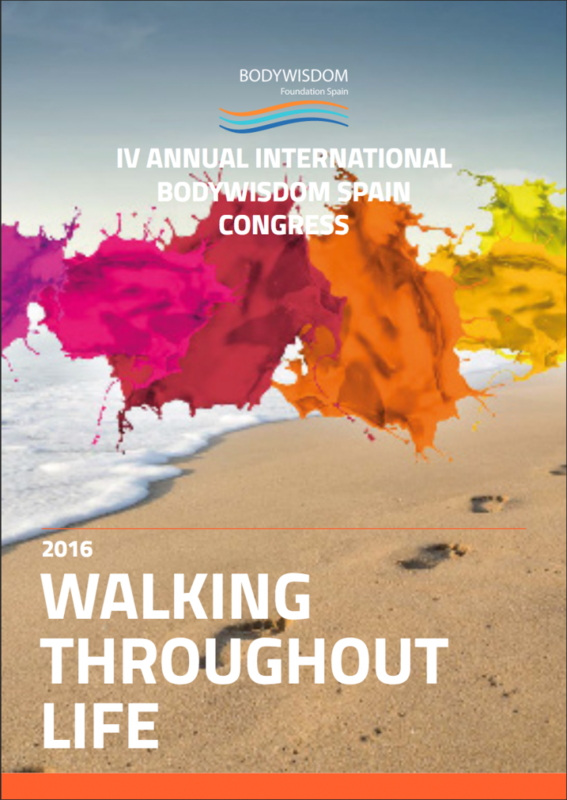 It is this theme that united the distinguished speakers at the 2016 Bodywisdom Congress: “Walking Throughout Life”, with all its varied connotations. Living connective tissue behaves in accordance to the qualities of its constituent cells, which move, bind, sense, and respond. In the same way, we as people respond to specific physical manipulations and techniques, and to practices like expressive movement and mindfulness. These methods can often immediately and visibly shifting the way we walk, and the way we walk through life itself. Walking may be the most characteristic movement we humans make. The way each of us walks reveals our unique integration of neuromuscular patterns; the quality of our gait reflects the qualities of our entire body, and our entire being. It is this theme that united the distinguished speakers at the 2016 Bodywisdom Congress: “Walking Throughout Life”, with all its varied connotations. Living connective tissue behaves in accordance to the qualities of its constituent cells, which move, bind, sense, and respond. In the same way, we as people respond to specific physical manipulations and techniques, and to practices like expressive movement and mindfulness. These methods can often immediately and visibly shifting the way we walk, and the way we walk through life itself.